Mr Masack is an outspoken critic of the present government. She confidently proclaimed victory even as the first few votes came in. They still proclaim that their policy was successful. In 1882, Brazil proclaimed itself independent from Portugal. Wearing scarves and hats which proclaimed their allegiance, the football fans flooded into the bar. Hollywood award shows have been popular platforms for political statements lately, but the messages tend to skew toward the left. 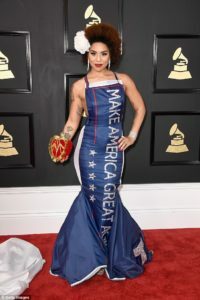 Tonight at the Grammy Awards, though, American singer Joy Villa made a very conservative statement on the red carpet. The 31-year-old, who has released a handful of singles since 2011, wore her anti-abortion views on her sleeve — or, we should say, her dress. Radio phone-ins provide a platform for people with strong opinions. These kind of TV-shows provide the platform for opinionated people to express their views. Do you have any views about/on what we should do now? In my view, her criticisms were completely justified. It’s my view that the price is much too high. He takes a pessimistic view of our chances of success. The meeting was an opportunity for the two leaders to exchange views. Villa turned up on the red carpet on Sunday evening in a customized white gown, originally by Pronovias. On the full skirt, she hand-painted the image of a fetus radiating colors of the rainbow. 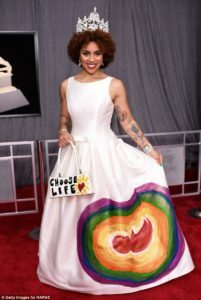 She accessorized with a tiara — she likes to go by Princess Joy Villa — and a small white bag that spelled out her message, in case anyone missed it. ‘Choose Life,’ she painted on the bag in all caps, adding a red heart with yellow squiggle lines. 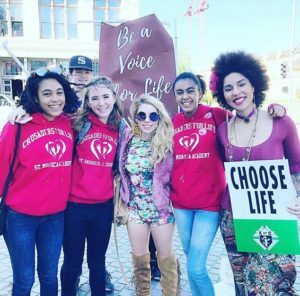 Villa recently attended the Women’s March in Los Angeles, where she held up anti-abortion signs. She‘s been quite vocal about her feelings regarding abortion in the past, too, and in November took to Instagram to post the rainbow fetus art that would come to adorn her Grammy dress. Do you think many people will turn up? She turned up at my house late one night. There is no need to book – just turn up on the night. She failed to turn up for work on Monday. The major avenues of the city all radiate from this point. Just before the breeding season, these birds radiate outwards to warmer climates. He was radiating joy and happiness. Enthusiasm was radiating from her. Nervous tension was radiating from her. I’m sorry, madam, but we have to go by the rules. What do you mean you don’t understand – do I have to spell it out for you? It’s frustrating when you have to spell everything out for them. I find myself typing angry sentences all in caps. Use small caps for the subheadings. His signature was an illegible squiggle at the bottom of the page. To my eye this picture just looks like squiggles. This book is all about Greece. Now then, what’s this all about (= what is the problem)? It’s all about money these days. Several original paintings adorn the walls. The bride’s hair was adorned with white flowers. ‘For a time in my life I struggled as a young artist turning 21 years old in an abusive, drug addled and toxic relationship where I found myself pregnant,’ she wrote. ‘I knew I couldn’t financially or emotionally take care of myself as a broke actress/model/singer in Hollywood and I had limited family who’d be able to help me. I prayed for help. ‘I was shown the answer: I chose the most difficult choice I’ve ever faced, to open adopt out my baby to a caring and beautiful family, working with an adoption agency who helped every step of the way. ‘I get to see and speak with my child, because it’s an open adoption. Trust me, this choice is life-shattering weather you raise your baby or adopt out, but please remember you have more choices then murder,’ she wrote. ‘You can choose life. Life for baby, for you, for the adoptive parents. We were quite happy for a time, until his brother moved in. He was a very strict parent, but never abusive. He was apparently abusive to the flight attendants. In my addled mind I decided they were trying to kill me. I think my brain’s been addled by the heat! Can you lend me £5? I’m completely broke. I can’t afford to go on holiday this year – I’m (flat) broke. Many small businesses went broke (= lost all their money) during the recession. The couple are hoping to adopt a baby girl. He was 18 when he found out he had been adopted. They adopted Raphael last September. They‘ve adopted a baby girl. She had the child adopted (= she gave her baby to someone else to take care of). During college, my parents supported me every step of the way. I got to meet the president. I got to test drive a Lamborghini last week. Did you get to talk to the baseball players? I don’t get to travel very often. I never get to see her now that she’s moved to California. I’d like to get to know you better – could we have dinner sometime? The defeat shattered her confidence. 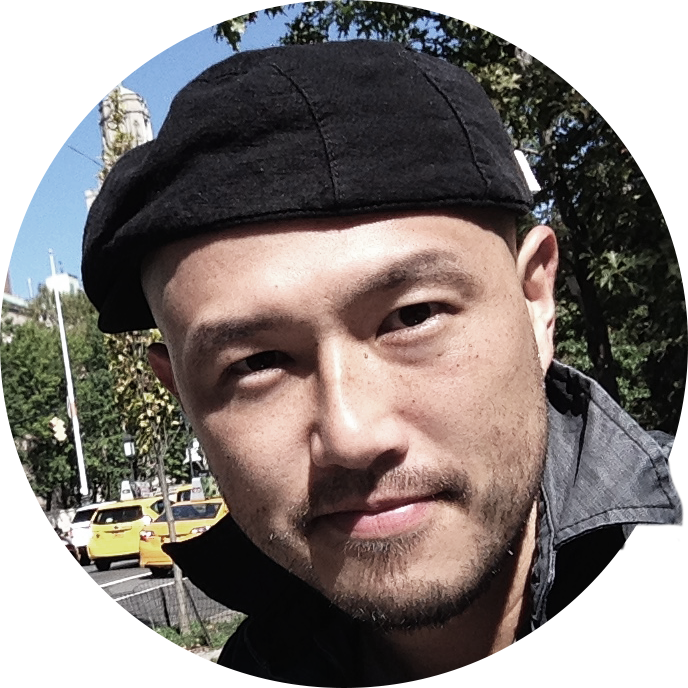 His father’s constant criticism shattered his confidence. I love the job, and it’s an added bonus that it’s so close to home. Speaking to Fox News today, Villa also shared her support of the current administration. ‘I love what he is doing; unemployment is down,’ she said. ‘I am totally for President Trump, and it’s only been one year. I can’t wait for the next seven years! She added, too, that she is a good friend of Ivanka’s and most recently spoke to the first daughter during the holidays a month ago. ‘I’m very close with his daughter Ivanka. She is a phenomenal woman. She wants to empower women,’ she said. 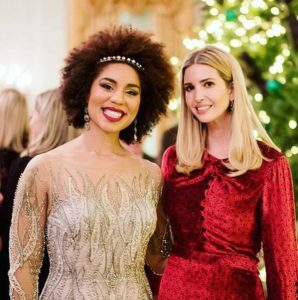 In fact, on December 24 she uploaded an Instagram photo taken with Ivanka at the White House Christmas party. Recent events had brought European issues to the forefront of media attention. She was one of the politicians at/in the forefront of the campaign to free the prisoners. His team is at the forefront of scientific research into vaccines. He has a phenomenal memory. Our goal is to empower everyone on our staff. We want to empower individuals to get the skills they need. 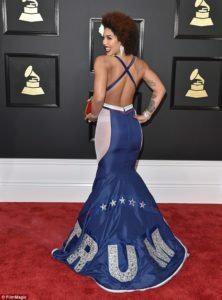 Villa was just as supportive of Trump at the Grammys last year, walking the red carpet in another statement dress by Andre Soriano. The formfitting number with a mermaid skirt and train was made in red, white, and blue and said ‘Make American Great Again’ down the front. Along the back was Trump’s name. ‘What an amazing journey this has been,’ she wrote on Instagram today, posting a throwback photo from the event. The film seems to be a throwback to the 1970s. Throwback Thursday to a great moment at the beach with my friends five year ago! This year’s styles are throwbacks to the fashions of the 1940s. Today’s installment from our “Throwback Thursday” takes us to the Southwest corner of Third Avenue and Maple Streets in 1929. MP3s soon began to outsell CDs. The new magazine is outselling many established titles.